Cellulite has long eluded a truly effective medical solution until Cellulaze. Topical treatments, massage and other various non-invasive techniques offer temporary and inconsistent results. Invasive procedures such as liposuction or Smart lipo are designed to target fat and not cellulite. But now there is a procedure that gently but effectively modifies the very structure of cellulite with a single treatment. Cellulaze is a minimally invasive surgical procedure for cellulite with long lasting and clinically significant improvements. Improvement that at least many years. 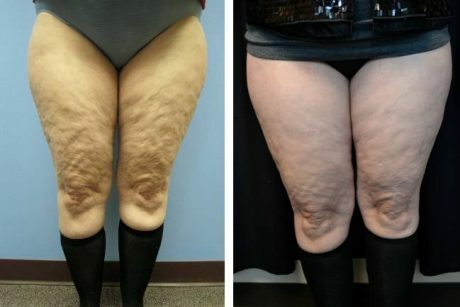 Cellulite isn’t just a fat problem it’s a structural problem below the skin, so why do so many cellulite treatments focus on treating fat from above the skin? Only Cellulaze addresses cellulite’s very architecture—surgically and, evidence shows, decisively—as part of a truly innovative yet simple mechanism of action. Only Cellulaze uses Cynosure’s proprietary SideLight side-firing fiber technology, which allows for more precise tissue targeting. Cellulaze can sometimes be effective in reducing underarm sweating as well. In the weeks and months following Cellulaze treatment, septae re-grow in new locations while new collagen leads to thicker and more elastic skin. These developments can help flatten the skin and smooth the skin surface, dramatically improving the appearance of cellulite. I recommend that you wear compression garment such as Spanx or Spandex for 5- 7 days after surgery. You may leak some fluid from the incision for the first night but you can definitely return to work the very next day. If you are from the area, I will see you in two weeks and then at 2,4 and 6 months after the procedure and I will take new photographs at these visits. Can You Treat the Same Area Again? 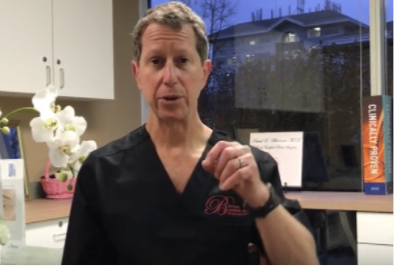 I have had several patients who have been so pleased with the results of the Cellulaze treatment that after 6-12 months, they have asked me to retreat these same areas with the hope of getting further improvement. We have been pleased with this further improvement with a second treatment but there still have not been enough patients doing this to have specific recommendations. Remember though that these treatments will help the Cellulite but they cannot make it disappear and return your legs to perfection. They can only improve them so it is important that you aim for an improvement and do not expect miracles. This is the only treatment that really works on Cellulite but it is not a perfect treatment, so please be realistic. 32% average increase in skin elasticity at 6 months post-op when compared to baseline. Adverse effects were limited to mild discomfort, bruising, swelling and numbness, with complete resolution at three months for all patients. How long does it take to do the procedure and how is it done? You need to see me for a comprehensive consult. At this consult, I will examine you and discuss if you are a good candidate and all aspects of the Cellulaze treatment. On the day of the laser treatment, you can either have some oral sedation, in which case you must have someone drive you, or you can drive yourself. Also eat and drink something before you come to the office. Do NOT fast. I will take pictures of the areas that I will be treating. I will then carefully mark the indentations and the bulges and place a grid over the area for marking. I will then take more pictures after the marking. You will then go into the operating room in my suite, where you will be covered with blankets and I will numb up with a very tiny needle, 1-2 incisions site per are. The incisions are only about 2 mm. I will then insert a small catheter under the skin and I will infiltrate the entire surgical area with a numbing medicine. After you are totally numb, I will insert a special laser under the skin and treat the area. It usually take about 90 minutes to do one area bilaterally (ie one area treated on each leg) and about 2.5 hours to do two areas per side. I rarely do more than this at one setting. However, many patients will come back a day or a few days later and have additional areas treated.